Classroom Program Manager Helaine Blumenthal, Outreach Manager Samantha Weald, and Wikipedia Content Expert for the Sciences Ian Ramjohn hosted the first Wiki Ed Office Hours of the year, an interactive session in which instructors can ask questions and get feedback. Based on the success of these events last year, we’re planning to host them on a regular basis moving forward. The Wikipedia article about former United States President, Millard Fillmore was promoted to Featured Article thanks to the work of George Mason University Visiting Scholar Gary Greenbaum. Surveys for the Student Learning Outcomes research closed. There were 1,200 participants in the preliminary assessment and survey, 887 in the post assessment and survey, and 559 participants in the post-course qualitative survey. These are truly exciting numbers from which we’re excited to learn. 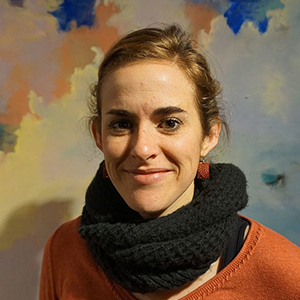 We welcomed a Research Assistant, Mahala Stewart, to the Wiki Ed team. Mahala will be working closely with Zach to process and analyze Student Learning Outcomes data. January marks the beginning of the new term, and we used the brief time before students get started on their assignments to attend conferences to recruit new program participants. Samantha joined our partners, the Linguistic Society of America (LSA), at their annual conference in Austin. We started the partnership with LSA because of Wikipedia’s dearth of coverage in language and linguistics. At the end of January, we have brought on a total of 38 courses within the discipline, and the students have added nearly 300,000 words to relevant Wikipedia articles. After the momentum we saw at this year’s conference, we’re confident linguistic students in the Classroom Program will contribute to that growth. Educational Partnerships Manager Jami Mathewson and Helaine attended the American Historical Association’s annual meeting in Denver, where they presented during a digital literacy workshop. After engaging with instructors at this conference, it’s clear there’s a heightened focus on digital history projects within the field. History instructors are eager to teach students skills they can take beyond the academy, and digital literacy is key. Wikipedia assignments align well with history courses because of the opportunity it presents to teach students how to document history, and because of the great impact on Wikipedia that history students can make along the way. The outreach team has spent the month helping new instructors to design their first Wikipedia assignments and to learn how to use Wiki Ed’s tools and support infrastructure. As of January 30, we have brought 106 new courses into the Classroom Program for the spring 2017 term — 36 more than this time last year. We’re proud of the growth we’ve been able to make by increasing Wiki Ed’s visibility, recruiting new instructors at outreach events, and improving processes that allow us to support more instructors. Students edited 584 articles, created 8 new entries, and added 76,400 words. In Spring 2016, Wiki Ed supported 215 courses in total. the Spring 2017 term has only just begun, and we’re about to surpass that number. The rapid growth of the Classroom Program not only speaks to the inherent value of Wikipedia-based assignments, but to our ability to reach new instructors and retain existing participants in our program. Numbers alone cannot convey the entire story, however. As we grow, we are building a community of instructors and students who care about public knowledge and media literacy and recognize that both of these are foundations of civic engagement in the 21st century. Based on the success of our Wiki Ed Office Hours series last term, we’ll be holding these interactive sessions on a monthly basis. Our first program was on January 31 and the second will be on February 2. At our first session, Helaine was joined by Samantha and Ian as they fielded questions from new and returning instructors. As the term gets underway, instructors were curious about subjects ranging from grading to different draft spaces on Wikipedia. We hope not only to reach a larger number of our instructors during these sessions, but also that our instructors have a chance to interact with one another and learn from each other’s differing expertise. As the program continues to grow, we see Office Hours as a vital tool in our ability to interact with our instructors on a more personal level and to provide them with the support they need. 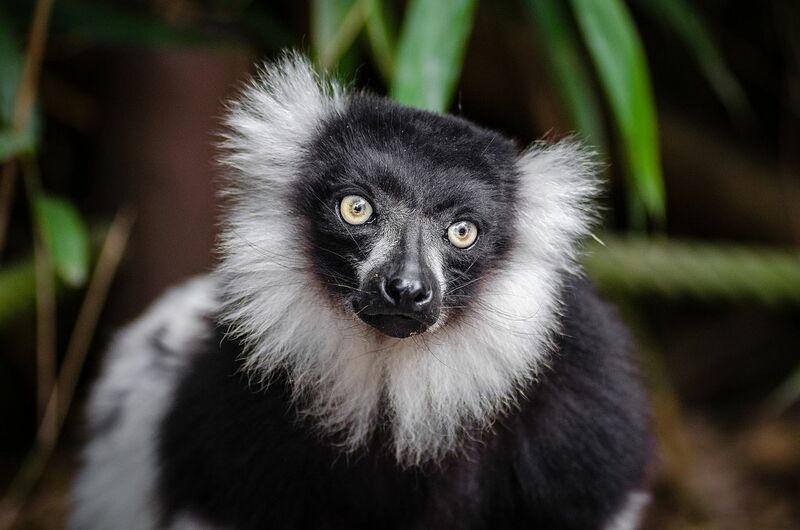 A student made significant improvements to the article about black-and-white ruffed lemurs. Image: 20160514 Duisburg-234 (29597357232).jpg, by Mathias Appel, CC0 1.0, via Wikimedia Commons. The concept of toxic masculinity has attracted a lot of interest in recent years, but the Wikipedia article was just a three-sentence stub when a student in Kyra Gaunt’s Social Inequality class started work on the article. In the course of expanding it, the student added sections addressing the subject in the contexts of sports, violence, and sexuality. Other students in the class expanded articles on a variety of topics including housing inequality, social inequality and women’s sports. Several other classes are also off to an early start. Students in Joan Strassmann’s Undergraduate Research Perspectives have created an article on diastolic function and expanded articles like that of the moor frog, the Black-and-white ruffed lemur, and the social amoeba Dictyostelium discoideum, while a student in Andrew Lih’s Wikipedia and Public Knowledge course expanded the list of 2017 Women’s March locations. 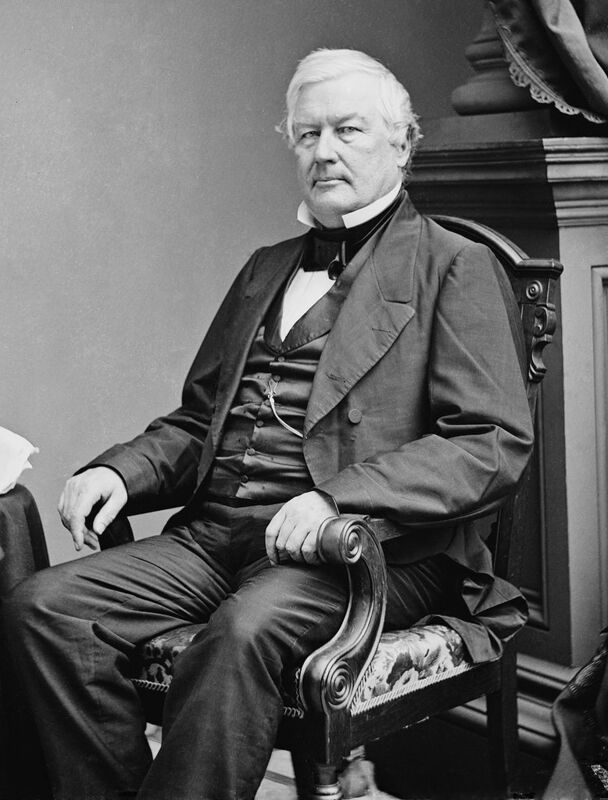 The entry for Millard Fillmore, 13th President of the United States, is now a Featured Article. Community Engagement Manager Ryan McGrady spent January working with existing Visiting Scholars program participants and onboarding several new sponsors at different stages of the onboarding process. He worked with our partners at the Association for Women in Mathematics to put out a call for applications for a Visiting Scholar that will improve Wikipedia’s coverage of women mathematicians and their contributions to the field. Existing Visiting Scholars continued to do great work. George Mason University’s Gary Greenbaum brought the article about former United States President, Millard Fillmore to Featured Article status. The Smithsonian Institution’s Visiting Scholar, User:Czar, made substantial contributions to articles on African art and artists, such as artist and Curator of African Art at Dartmouth College’s Hood Museum of Art, Ugochukwu-Smooth Nzewi, sound and installation artist, Emeka Ogboh, and London-based art fair, 1:54. 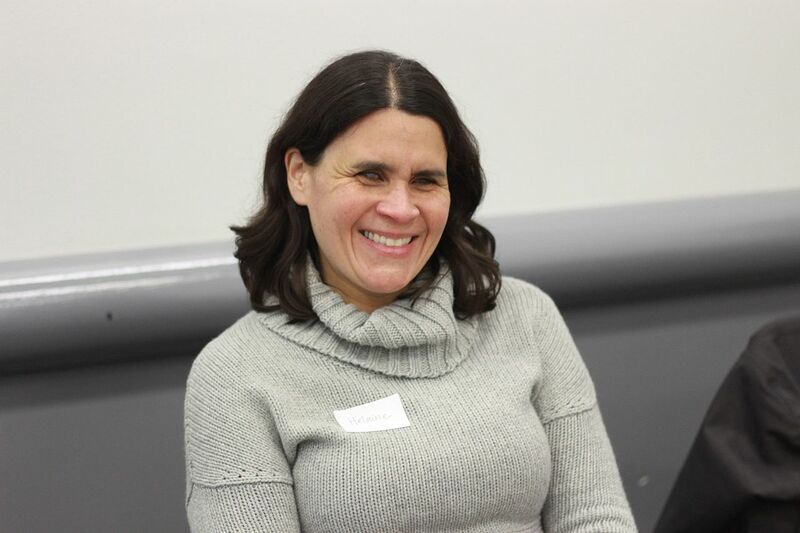 Director of Programs LiAnna Davis worked with media firm PR & Company to pitch Wiki Ed’s program as a way to teach students media literacy skills to potentially interested journalists. Ryan and Helaine began the planning phase of Wiki Ed’s Classroom Program Newsletter pilot, in anticipation of its February launch. In January, the focus on collaboration and mentorship continued. Outreachy intern Sejal Khatri continued adding features to the user profile pages, which now highlight both the total impact made by an instructor’s students and the total individual impact of a student across all Wiki Ed courses they’ve participated in. Google Code-in wrapped up in mid-January, with some impressive code contributions from high school students around the world. Product Manager Sage Ross worked on two experimental Dashboard features that we expect to begin beta testing soon: authorship highlighting in the Article Viewer, and a chat feature for course participants. The authorship highlighting feature builds on whoColor, a system for showing which parts of a Wikipedia article were contributed by which users. Our plan is to highlight everything that the students contributed, so that an instructor can easily visualize what their students added to an article. The chat feature uses Rocket.Chat, an open source competitor to Slack, to integrate per-course chat channels into the Dashboard, where students can discuss their Wikipedia assignments, ask and answer each others’ questions, and collaborate. On January 17, the surveys for the Student Learning Outcomes research closed. There were 1,200 participants in the preliminary assessment and survey, 887 in the post assessment and survey, and 559 participants in the post-course qualitative survey. We awarded 32 $50 Amazon.com gift certificates to winning entrants via email. Additionally, we brought on board a new Research Assistant, Mahala Stewart. Mahala is helping with the Student Learning Outcomes quantitative and qualitative data analysis. She and Research Fellow Zach McDowell spent the majority of January cleaning up the data output from the internal survey system, conducting preliminary analysis, and planning the process for more complicated analysis. Finally, Zach started three different writing projects and one conference proposal with instructors from the Classroom Program, based on this research. For the month of January, expenses were $155,853 versus the approved budget of $210,890. The majority of the $55k variance continues to be due to staffing vacancies ($16k); as well as the timing of Board and All Staff meeting ($43k) expenses. Our year-to-date expenses of $1,056,061 was also less than our budgeted expenditures of $1,406,975 by $351k. Like the monthly variance, the year-to-date variance was also impacted by staffing vacancies ($116k) and the timing of Board and All Staff meeting ($50k) expenses. In addition, the timing and deferral of professional services ($70k); marketing and cultivation ($22k); volunteer workshops ($11k); and printing ($17k); as well as savings in travel ($66k) contributed to the variance. Wiki Ed was awarded a second $25,000 gift from the Broadcom Foundation. The money will be used to improve students’ employability skills, engage students – a majority of which are women – in science communication, and expand Wikipedia’s coverage in underdeveloped topic areas (with a specific focus on STEM topics). In January, Frank met with members of the board’s ad-hoc Fundraising Options Taskforce via video conference. As a result, the taskforce came up with recommendations for the full board to discuss during its biannual in-person meeting at the end of the month. On January 28 and 29, the board gathered in Tiburon for its first in-person meeting of 2017. Frank provided participants with an update on the state of the organization and a first outline of the plans for next fiscal year. 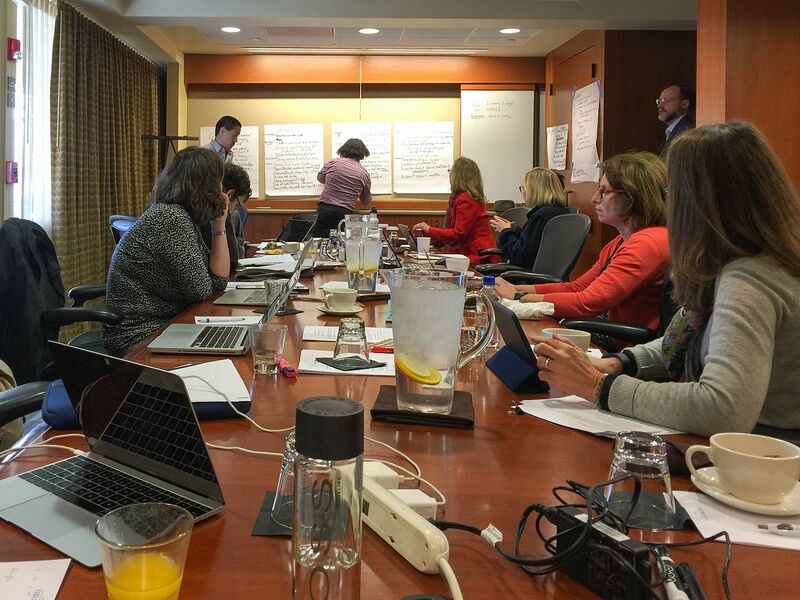 The board completed its work on the Wiki Education Foundation’s mission statement, amended the organization’s bylaws, and started a conversation about the upcoming strategic planning process.